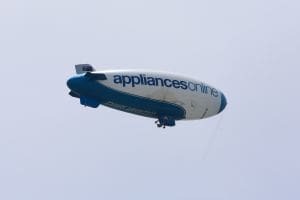 Since launching its first brand campaign, online appliance retailer Appliances Online has tripled its brand awareness. Earlier this year the retailer handpicked creative agency VCCP and media agency ZenithOptimedia to work on the business, after the two agencies had success launching the 'Compare the Market' campaign into the Australian market. 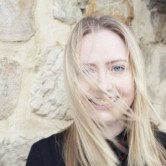 The brand's first above-the-line campaign launched in August and Appliances Online chief marketing officer James Fleet told AdNews that rather than rushing to market the brand really wanted to get the campaign right. “We launched above-the-line in metro Sydney to start with and we've definitely seen the impact that we wanted to,” Fleet said. Fleet said that one of the key objectives of the campaign was to grow brand awareness and through using TV, digital, radio and outdoor the brand has been able to do that. “Appliances Online had a 3% unprompted brand awareness nationally among major domestic appliances customers, and we really wanted to get that into double digits. We haven't got the official results yet, but we're in that area,” he said. Appliances Online is taking brand awareness to new heights with the brand this week officially unveiling its Legend Blimp to accompany the Legend who appears across the brand campaign. This week, Appliances Online’s Legend Blimp made its journey from Melbourne to Sydney in five days, arriving just in time for its official launch, which took place in Sydney on Wednesday. At 39 metres long and 11 metres wide, it's the largest and only blimp currently flying in the Southern Hemisphere. Fleet explained that while the blimp is an unorthodox way of spreading the brand message, it is one way that brand can share its culture with its audience. “We've got the only blimp in the Southern Hemisphere, there are 19 in the world, and we've only been going for a month and the engagement already online is amazing. The blimp just goes cap in hand with social media, and Instagram particularly. We've had great success,” he said. Watch the Legend TVC below.